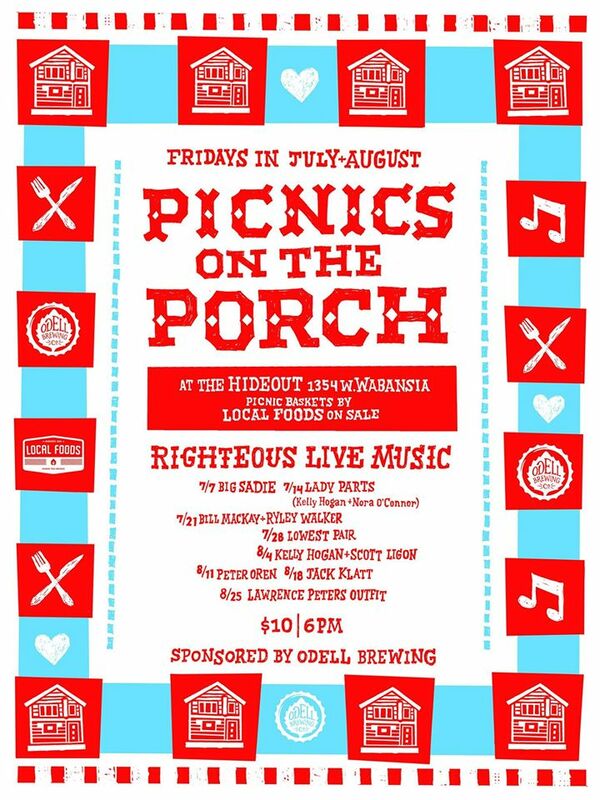 Looking forward to returning to the Hideout tomorrow night to kick off this summer’s Picnics on the Porch series! These events were our favorite set of gigs last summer and helped spark a writing streak that led to a bunch of the songs on ‘Keep Me Waiting,’ so we’re stoked to be returning. They’re mixing it up from week to week this year and we’re in excellent company, so if you miss us tomorrow, be sure to check out some of the other great acts planned for Fridays in July and August. 6pm. $10. Picnic dinners from Local Foods available for purchase.